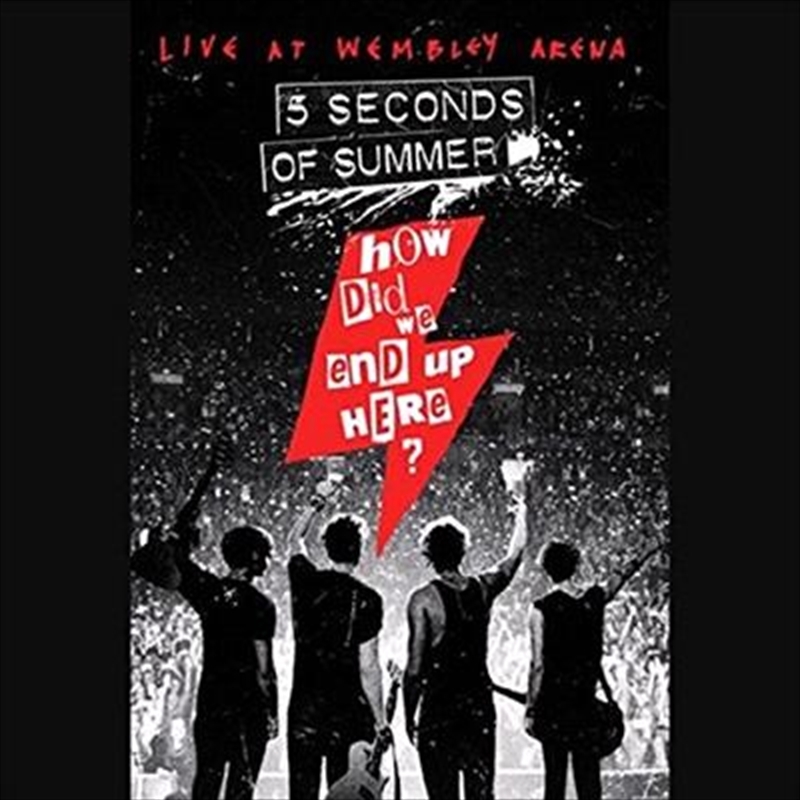 5 Seconds of Summer - How Did We End Up Here? captures the young Australian upstarts conquering the legendary and sold-out Wembley Arena. This show serves as the iconic end to the first chapter of the band's career, that saw them leave home and travel the world gathering a legion of fans along the way. Filmed in the summer of 2015, just before their second studio album was released, it features hits and favourites like End Up Here, Disconnected, Beside You, Kiss Me, Kiss Me, She Looks So Perfect, Good Girls and What I Like About You plus the first live recording of the new track Permanent Vacation. This program captures Luke, Michael, Ashton and Calum's incendiary live show and shows them living their dream and rocking out with their adoring fans.